The Bank of England (BoE) has warned the Greek debt crisis is a threat to UK financial stability and could trigger wider problems on financial markets. 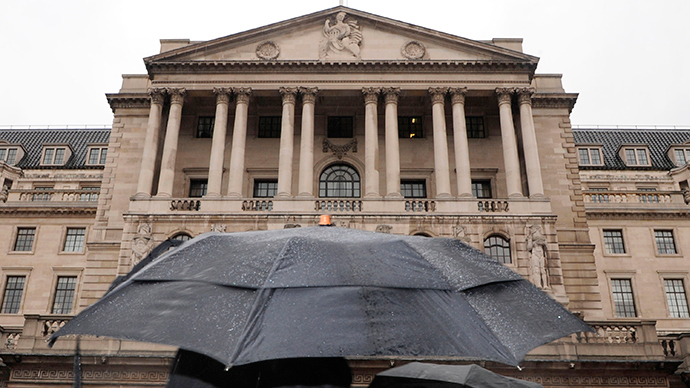 The BoE said it was working with the Treasury, Financial Conduct Authority (FCA) and European counterparts to draw up a contingency plan to safeguard the British economy. Greece became the first advanced economy to default on an International Monetary Fund (IMF) loan on Tuesday, when it failed to make a €1.6 billion (£1.1 billion) repayment by the midnight deadline. “The situation remains fluid. The [Financial Policy Committee] will continue to monitor developments and remains alert to the possibility that a deepening of the Greek crisis could prompt a broader reassessment of risk in financial markets,” it added. The BoE is concerned an escalation of the Greek crisis will cause instability to spread across the Eurozone, as investors reconsider the risks of other investments, leading to reduced liquidity that would make it harder for investors to sell shares and bonds. While British banks’ exposure to Greece has shrunk to just 1 percent, their exposure to other Eurozone economies is much higher at 60 percent. Speaking after the publication of the report, Bank of England governor Mark Carney said the bank had made preparations for the possibility of a Greek exit from the Eurozone. “The footprint of Greek banks in the United Kingdom is tiny compared with the size of our economy. In contrast, our economic and financial exposure to the euro area is considerable,” he added. The UK central bank’s warning echoes similar statements by Chancellor George Osborne on Tuesday. The BoE report lists other key risks to UK financial stability, including the global economy, cyber-attacks, the reduction of liquidity in some markets, and the £30 billion of fines paid by banks since the 2008 financial crisis.